Does VIASUE support analog pit stops out of the box? If not, do you offer an add-on for this feature? 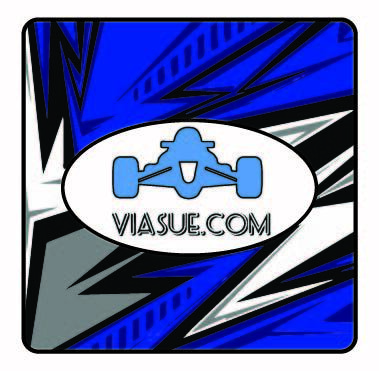 HOWEVER as we speak RC is testing VIASUE isolated pit stop sensors that will be included as an "ADD ON" Feature built within the sensor track of your track type for a P&P experience. GO ! VIASUE & RC ...you cant loose !! Last edited by VIASUE; 09-22-2016, 09:46 AM. Very interesting idea. Is the idea that with the add-on pit sensors one can have a longer re-fueling area, making it easier to stop in the correct place? I'm a big fan of VIASUE and I'm sure the WI-FI product will be excellent. For anyone who can't wait, one can currently enable Wi-Fi in RC using a router. The British club EAHORC has a PDF on the Internet that is most helpful for those of us without much network experience. One can find it by searching for "Duffer's guide to Race Coordinator." Edit: It occurs me that perhaps VIASU is intending a wireless unit from the sensors to the computer? If so, my apologies for being dense. That would also be very cool. Edit: It occurs me that perhaps VIASUE is intending a wireless unit from the sensors to the computer? If so, my apologies for being dense. That would also be very cool. You are correct we want to eliminate as many wires and connections as possible. We would also like one day to be able to just set down, in a track layout,add on features like, wireless countdown towers, or wireless heat leader indicators, however we cant get around wires for power..... Tesla Where Are You When I Need You ?? Here's the PDF link to the EAHORC document "A duffer’s guide to setting up Race Coordinator to broadcast on a small wireless network." EAHORC has become THORL, according to their web site, but it is very nice of them to leave the EAHORC web site up for historical and informational purposes. So thanks to them! I suggest interested parties save the PDF file, as it does seem to be difficult to find this document using the google. I have successfully used the wireless feature of RC with a variety of devices, anything that has a browser should work. The only two minor bugaboos I have found are that gaming consoles seem not to cooperate, at least on my setup as I am NOT connecting this little LAN to the Internet, it's strictly for slot cars. I'm using an old Netgear router I had gathering dust. The other issue is that my iPhone wants to switch back to my primary household network when I walk back into the house. Obviously neither of these is the fault of RC, and the second can be solved by deleting my primary network temporarily. Typically we set up an iPad in the kitchen, so that there is less shouting for someone to come to the table. Can somebody point me to the owner of that website/document? I haven't read through it completely but if it's useful for setting up RCLive I'll post it on my site. That should make it a bit easier to find, but I'd prefer to ask for permission first. According to their web site, EAHORC is now THORL. They also have a Facebook page. Yes you can run fuel races right out of the box....no add on needed. However for HO it can be challenging to park on top of your lane sensor during a round robin fuel race. So we can build you a pit zone which consists of the pit sensors built into your track type or in kit form for routed tracks. You then can pit between the start line sensors and your pit zone sensors. The distance between is completely customized by you. Making it as hard or easy as you like to refuel. The pit sensors do require a light bridge just like the start line sensors do. Our price includes the cost of the light bridge. Custom light bridges for routed track or large scale plastic track are available from our www.viasue.com store....OR buy emailing [email protected] about your needs or wants and providing us your track span, lane spacing and desired clearance based on your tallest vehicle while slotted. Photos of the proposed light bridge(s) location are a big help for custom bridges built for your layout ! Our store is under construction so all items are not listed yet so please contact us via email or phone for a proper quote If you dont see what you need at the store. Direct Billing is done via a detailed paypal payment request send from VIASUE to your email address. You can still purchase from our store as we update it. We would also like to take this opportunity to show off our new product icon which will be attached to our systems. Yes the system supports fuel races right out of the box by parking on top of your lane sensor. We also provide a Pit Zone sensor track as an add on item. Where you pit between the start line sensors and pit zone sensors. Pit Stop Racing made easy. You can set the pit zone by increasing or decreasing the distance between the sensor sets. Make it much easier to pit for Ho and very fast cars or for controllers that do not have a breaking system.Works for all scales right out of the box. You can use the pit zone to create a drag strip layout for one lap races or download the new RC Drag Software to configure the sensors as start line and finish line sensors.